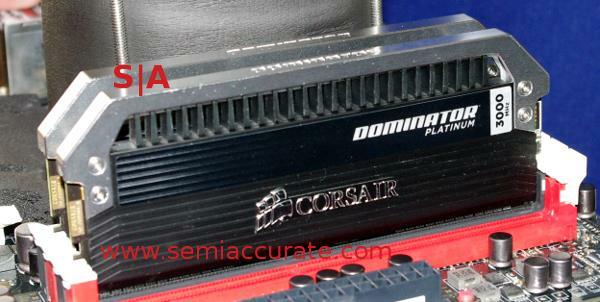 Corsair had a lot of solid evolutionary products at Computex, and one new idea to top it off. On the software side, the CorsairLink suite has at least one seriously useful new feature. The first item we saw was the Vengance 2000 wireless gaming headphones. They support all the goodies, 7.1 surround, a claimed 10 hours of battery life, charging while running, blue LEDs, and a custom designed 50mm driver. To top it off, the seem to be well built, tastefully designed, and at least to me, quite comfortable with good sound quality. 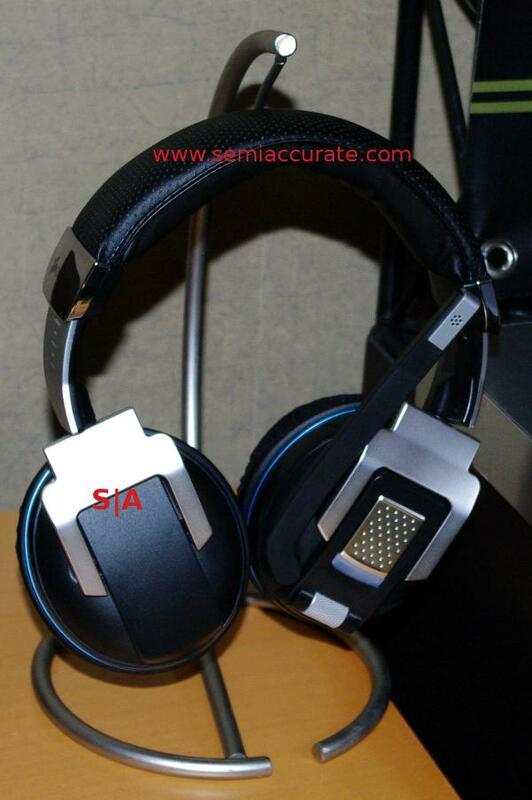 These seem like very solid headphones, but there are two flaws that we can see. First is Windows only for official support, the second is USB only, no analog variants. For us, both of these are dealbreakers, but if you don’t feel the same way, you can get one now for $149.99, spiffy stand not included. 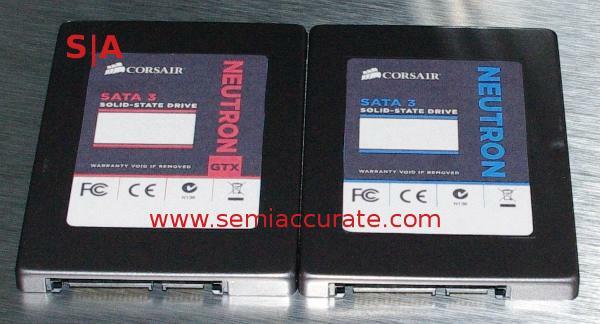 Next up is the Neutron SSD in both normal and GTX variants. The Neutron uses ONFI flash while the GTX adds specifically chosen, likely very high bin toggle flash. In case it isn’t obvious, the GTX is notably faster, but both have a 5 year warranty. The Neutrons stand out not just for their specs, but because that they use a Linkamedia controller, a company not previously known for SSD components. The end result is a pretty fast device with a claimed sequential 555MBps read and 500MBps write, plus 90K IOPS for both read and write. As you can see above, it looks to be quite achievable in the real world too. These may not be the fastest drives for sequential access, but they are near the top in random reads and writes. Corsair expects them to be out this month. 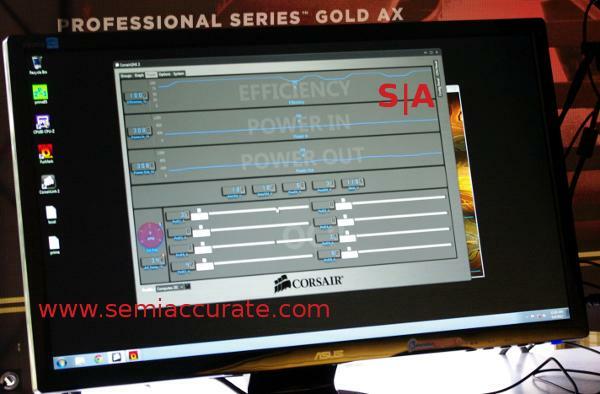 Moving on to power supplies, Corsair has something fairly unique in the new AX1200i PSU, a DSP. The idea is to control power delivery and more importantly ripple, digitally rather than with analog caps. Theoretically, this should allow for a more precise, faster reacting power supply, and more stable power for the end user. 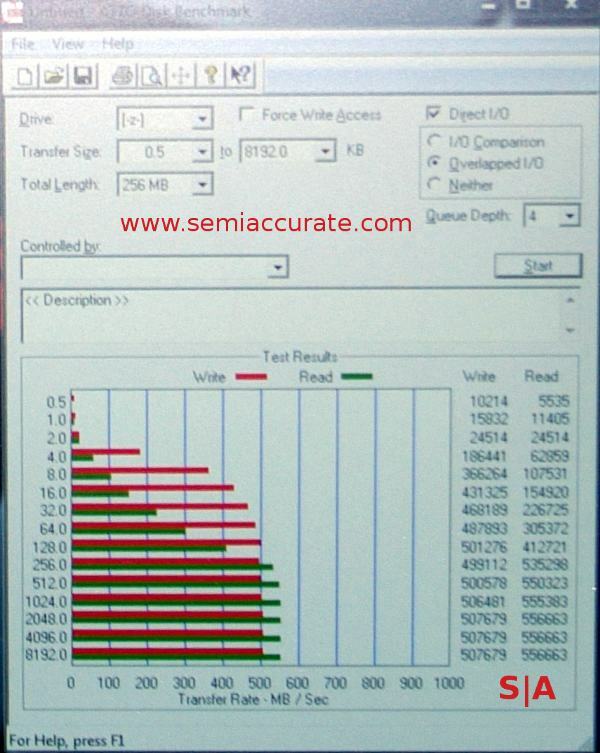 The AX1200i is 80 Plus Platinum certified, meaning worst case of 89/90% efficiency on 110/220v respectively. More interesting than the raw specs is the updated CorsairLink software. If you recall, it started out as an outgrowth and serious update to the Coolit suite for controlling fans and temperatures, basically an overarching external system monitor. In the AX1200i, it can now monitor the power rails directly, and give you all sorts of interesting feedback. The 1200i is a single rail 12v design, but with the software, you can make ‘virtual’ rails. We can’t really say how this works in practice, but the idea is very intriguing.